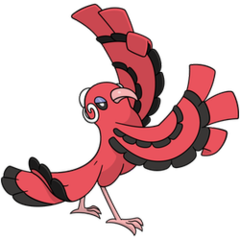 Oricorio does not evolve/is not evolved into. Sun It beats its wings together to create fire. As it moves in the steps of its beautiful dance, it bathes opponents in intense flames. 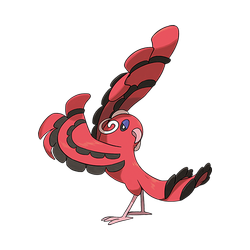 Moon This Oricorio has sipped red nectar. Its passionate dance moves cause its enemies to combust in both body and mind.